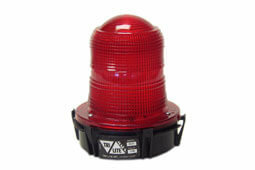 The FF3 is a compact, economical flashing light. Solid State construction with no moving parts assures reliability. Excellent for indoor or outdoor signaling, safety, or warning applications. 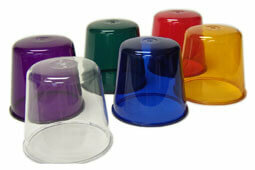 Dome colors available: Amber, Blue, Clear, or Red. 60 to 75 flashes per minute. Low current draw, 1.5 amps at 12 VDC.